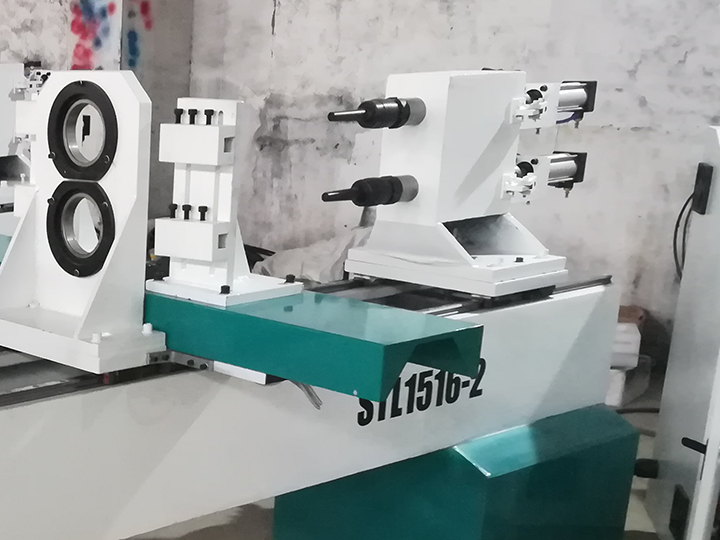 Double axis automatic CNC wood lathe is designed for cylindrical workpiece, tubular sharp and vehicle wood crafts such as baseball bats, pillar, staircase columns, roman columns, general columns, table legs, chair legs, etc. 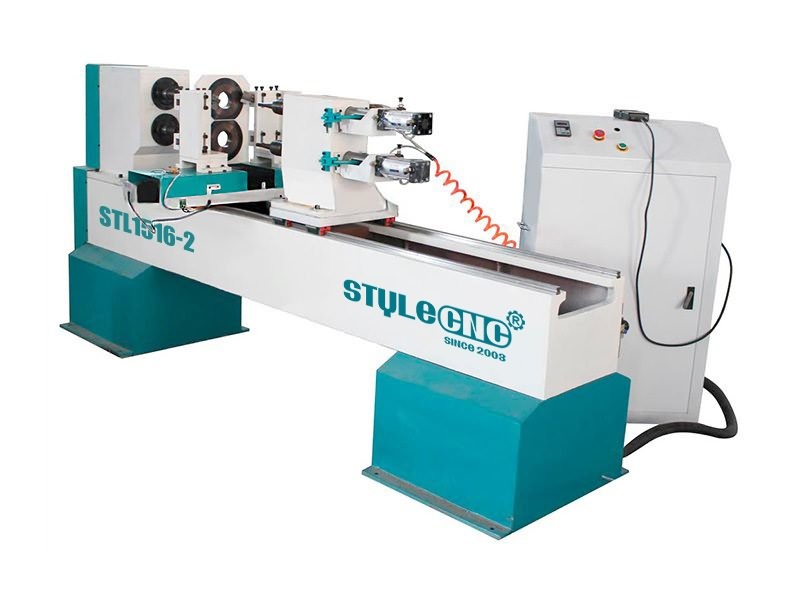 Double axis automatic CNC wood lathe is used for various cylindrical workpiece, bowl sharp, tubular sharp and vehicle wood crafts, such as various staircase columns, general columns, roman columns, table or chair legs, washstand, wooden vase, wooden table, baseball bats, car wooden furniture, children' s bed column, etc. 1. 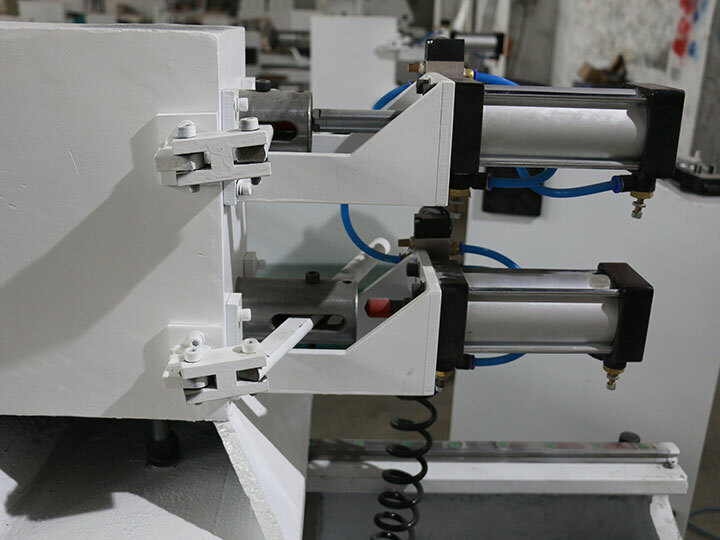 Heavy Cast iron lathe bed avoid shaking when the spindle rotates fast or the big sizes workpiece process, and the main spindle speed can be adjusted through the frequency converter. 2. DSP handle controller with USB interface, which is easier for allign cutters. 3. Taiwan Hiwin guide rails and Germany ball screw,high precision and durable. 4. 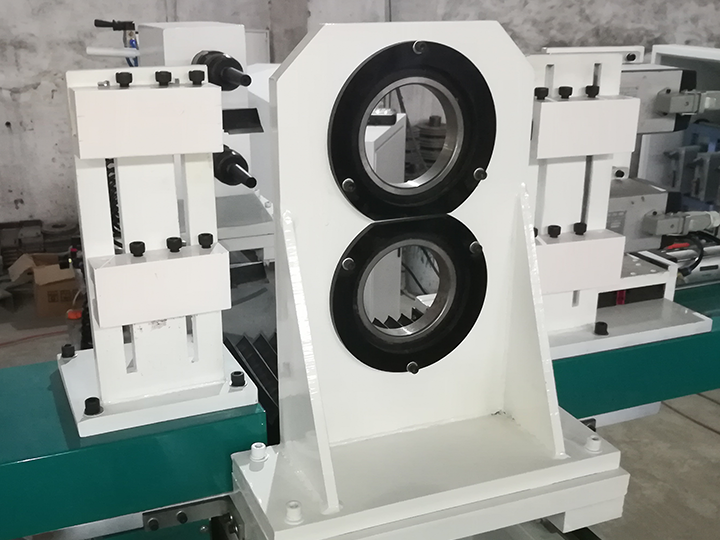 Spindle divided into the single axial and biaxial, the chuck can be mounted to the system and biaxial can produce two pieces at the same time . 5. 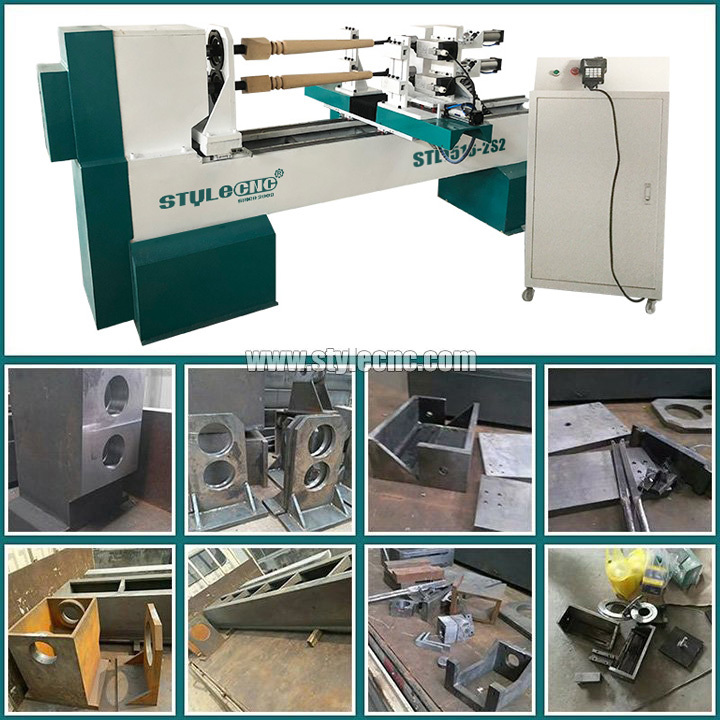 Double axis automatic cnc wood lathe use domestic famous brand stepper motor to ensure the precision . 6. Spindle speed data is shown on the cabinet panel. 7. Only one time tool setting. 1. Center support to avoid the vibration, the steady rings inside with 2.67 inch for thin wood sticks. 2. 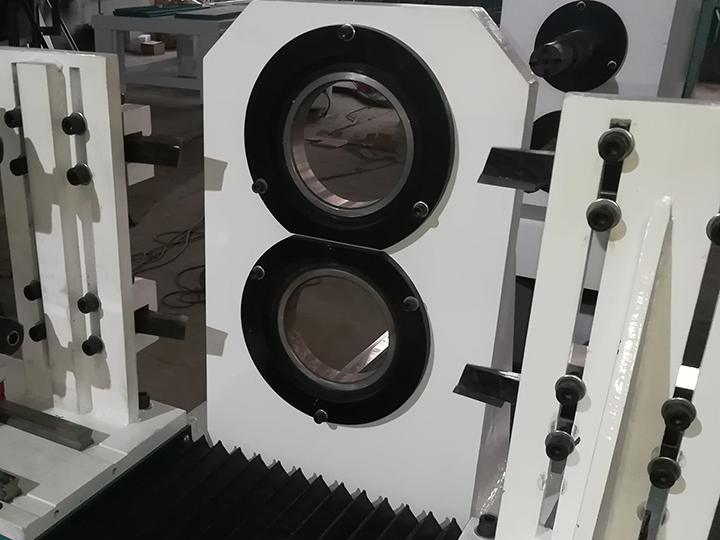 Air cylinder to stable the baseball bats, cast iron machine body more heavy and stable. 3. Double axis with four cutters, more fast and smooth turning. 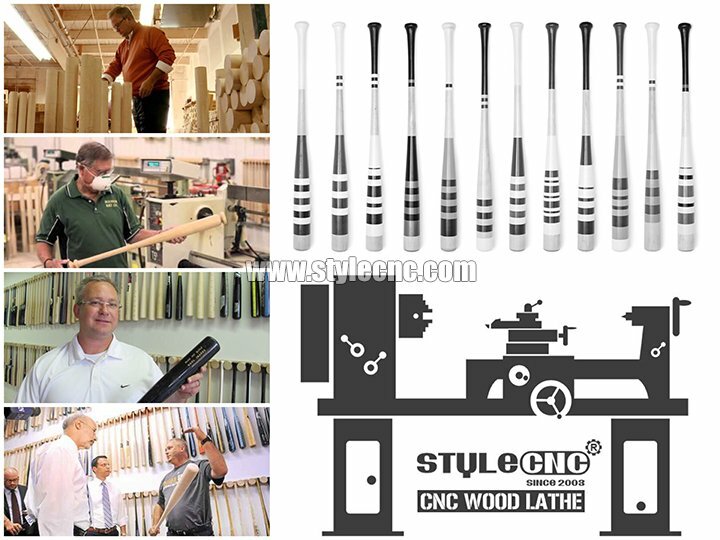 License: The text of "Double Axis Automatic CNC Wood Lathe for baseball bats" by STYLECNC is licensed under a Creative Commons Attribution 4.0 International License. CNC Wood turning lathe STL1530-S is finished and ready for delivery to Turkey. 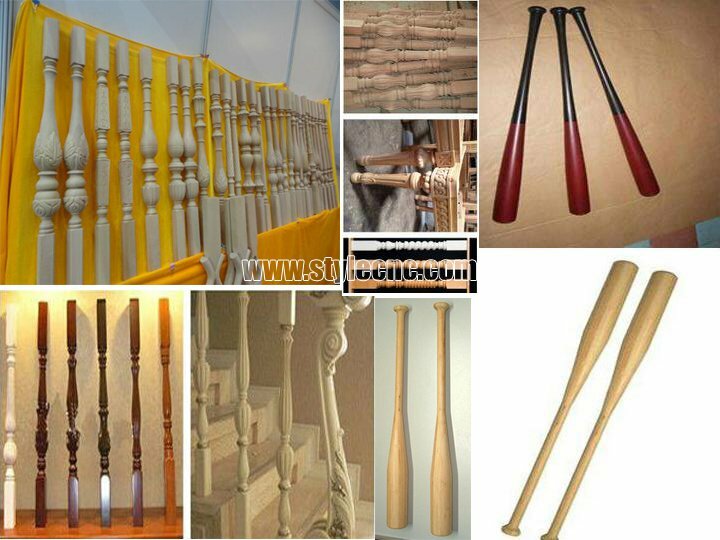 The customer uses it to make stair railing, baseball bat, chair leg etc cylinder wood materials engraving. Overall, this is an incredible value. Very heavy, and very sturdy. Operate easily. Whoever designed the packaging was a genius. There's pretty much no way to damage the parts in shipping. Amazing packaging! Completely protects the contents so they arrive in the same condition as when the wood lathe machine lefts the factory. This CNC router makes doing my edges on wood projects so much easier to do and comes with a lot of goodies to add on. Double the production of the chair leg. 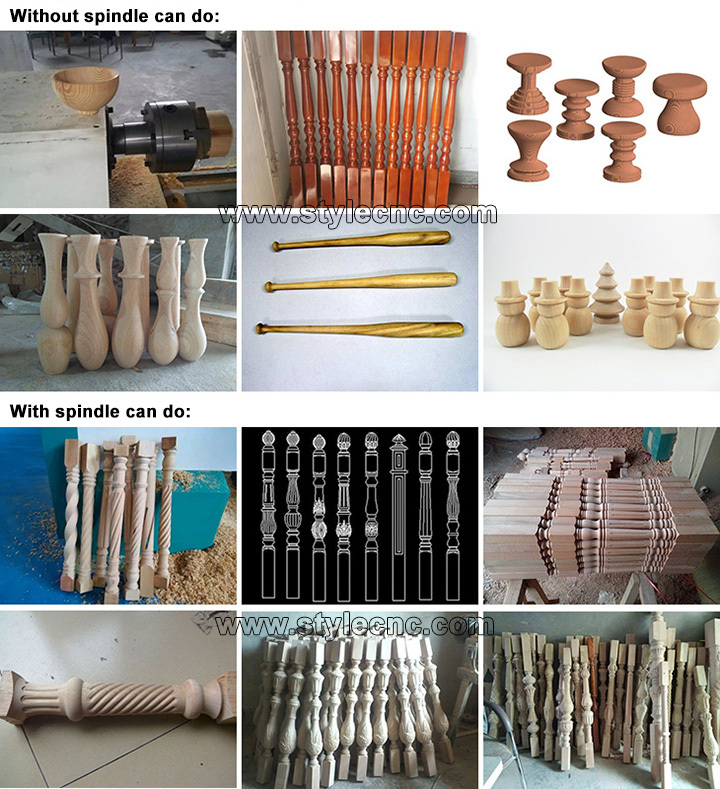 Very fast delivery service and the wood lathe was as described. Llegó antes de lo esperado. ¡Y funciona muy bien, gracias STYLECNC!